A man charged with threatening his father and stealing his truck is now apparently heading for a jury trial in the near future. Thirty-seven-year-old Glen Ray Cockrum Jr., who lists an address in the Van Buren County city of Clinton, told the court during an earlier appearance he had awakened in the Baxter County jail with little or no recollection of the events landing him behind bars. In early August last year, Cockrum's wheelchair-bound father called the Baxter County Sheriff's Office to ask for assistance in handling his unruly son. The father said Cockrum Jr. had arrived at his home along County Road 25 in a large 18-wheeler. He told deputies when the son was ready to leave, the larger truck would not start, and he asked to use his father's smaller, wheelchair-lift-equipped vehicle to jump start the semi. The effort was not successful, and it was at that point Cockrum Jr. began acting oddly. The father told deputies his son began walking around in the yard carrying a hammer and "acting crazy." He said he suspected the younger man might be taking methamphetamine. The wheelchair-bound father said he felt threatened by his son's behavior and retreated into the house. Eventually, the son left in his father's vehicle. The father reported when he called his son's residence in Clinton to inquire about his missing truck, Cockrum Jr. replied, "Bye, bye, I'm long gone." Van Buren County sheriff's deputies located the father's truck at the son's residence. They reported the wheelchair lift had been removed. 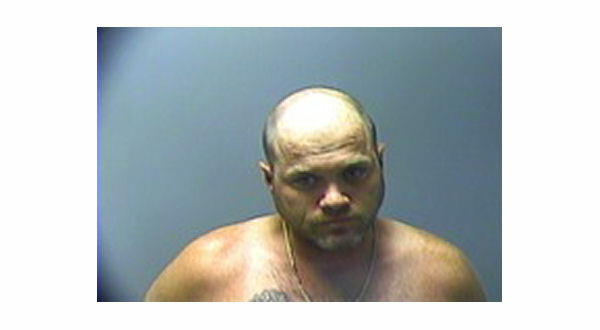 Cockrum Jr. faces charges of theft of property and assault on a family member.